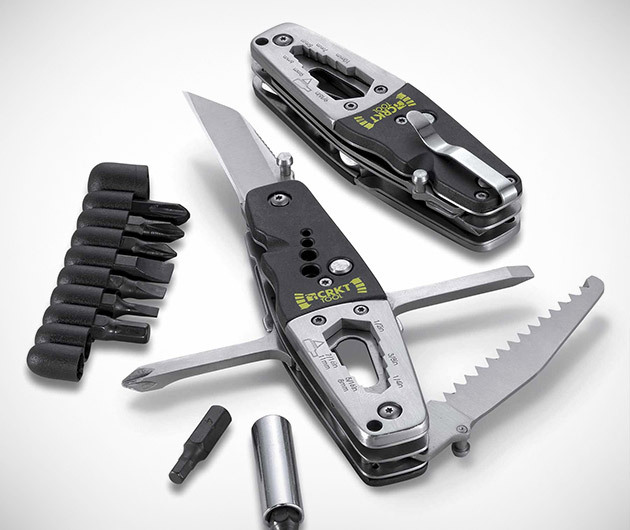 Everything you could possibly need in a multi tool kit and more, the CRKT 9200 Multi Tool has been designed by renowned knife-makers Ed Van Hoy and Tom Stokes. Boasting efficiency and ultimate usability, it includes a blade, saw, wrench, wire-stripper, a couple of screwdrivers with additional bits and of course a bottle-opener for when you've finished your tasks. Just don't tell the Swiss Army about it.